Archive of the Now has a new WordPress site . 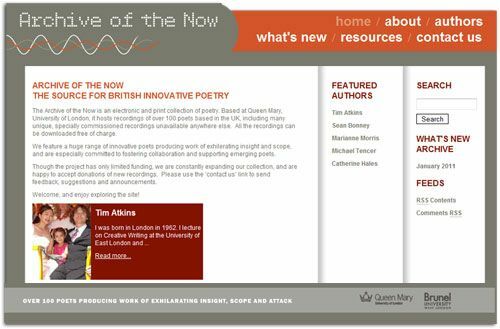 We designed the Archive of the Now site which is an electronic collection of poetry and text-based work. The new advanced structure makes the site much easier to update. It’s also enabled the Archive of the Now to embark on a campaign of new recordings and updates to the site.